Often referred to as “Home of the Killer Whale”, the village is located at the top of Johnstone Strait on Cormorant Island, a crescent shaped island three miles in length and a half mile wide. The oldest community on northern Vancouver Island, Alert Bay was once a key trading post for First Nations people and merchant mariners. The island was named after a coastal cruiser, the H.M.S. Cormorant in 1846. Alert Bay derived its name from the H.M.S. Alert, which was stationed on the northwest coast in 1858. 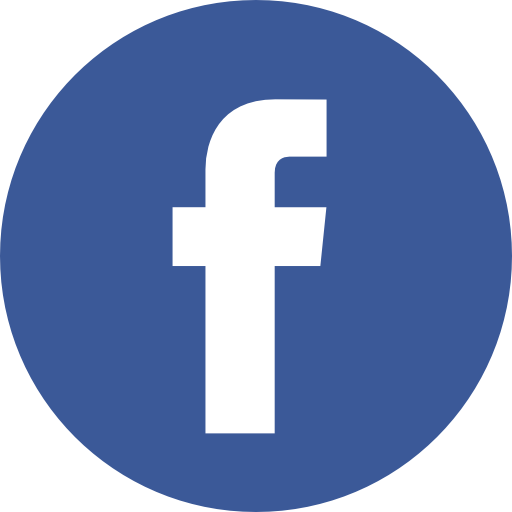 Today, Alert Bay has a population of about 1,500 comprised of the Village of Alert Bay, the ‘Namgis First Nation and Whe-la-la-u and Area Council. The island is accessible by a 30 minute ferry ride which departs six times as day from Port McNeill. 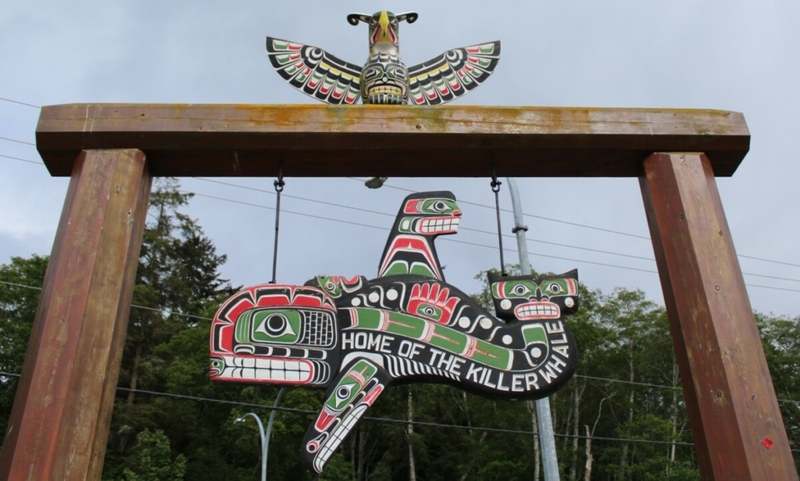 The area is rich in aboriginal history and is primarily populated by the Kwakwaka’wakw people. The U’mista Cultural Centre is an internationally-known facility that houses one of the finest collections of historical artifacts depicting the Potlatch Ceremony of the Kwakwaka’wakw. Ruins of native villages and culturally modified trees can be found on nearby islands. The natural beauty of the island has not been altered by large developments or crowds. Travellers can sea kayak, rent a mountain bike, explore the Island’s hiking trails, and rarely see other tourists. Most beaches are accessible by foot. The world-renowned Robson Bight Ecological Reserve, a favoured rubbing beach for killer whales, is just 30 minutes away by boat. Alert Bay is an ideal place to unwind and enjoy a place that appears to have stood still for half a century. While Alert Bay’s economy is still influenced by commercial fishing, it has gained a reputation as an “off the beaten path” tourism destination emphasizing First Nations culture, its natural environment and eco-tours. Educational institutions throughout the world regularly station researchers here to study First Nations culture and the pristine marine habitat, including Orcas. Alert Bay Lodge is located two kilometers south of the BC Ferry Terminal at 549 Fir Street, an oceanside road adjacent to the ferry terminal. Located between the northeastern end of Vancouver Island and the BC mainland, this glacier-carved waterway of 87 kilometers stretches from Chatham Point to Hanson Island, with Vancouver Island on the south and the rugged mainland coast on the north. Intricate and remote island archipelagos, refuges bays and deep fjords characterize the area. Luxuriant forests ringed by snow-capped mountains create an inspiring backdrop for kayaking, bear viewing and whale watching. The Robson Bight (Michael Biggs) Ecological Reserve lies 22 kilometers south of Alert Bay in Johnstone Strait. Pods of Orcas return here each summer to rub themselves on the barnacle-encrusted rocks, pebbles and gravel sea floor. Attracted by the annual salmon runs that begin in late June, these mammals are the top predator in Johnstone Strait. Orcas can sometimes be viewed from the balcony of Alert Bay Lodge. Located about a two-hour boat ride south of Alert Bay, Knight Inlet is a fjord that juts 105 kilometers deep into the wilderness of the British Columbia mainland. As one of the largest fjords on the B.C. coast, Knight Inlet offers its visitors spectacular scenery amidst steep cliffs that fall away to the deep blues and greens of the glacial-fed water. Silence reigns here, broken only by the slap of the water against the shore and the thunder of nearby waterfalls, intermingled with the cries of seabirds. Each season we hire international couples with hospitality backgrounds in front desk, cooking and serving, and housekeeping. We work with the couples to develop the menu, so each season reflects different international cuisine. These couples inject an energy and passion that delight our guests and underscore our commitment to customer service of the highest order. A number of years ago (don’t ask how long ago but was before parenthood) we stayed at a very-hard-to-find beachfront near Santiago de Cuba. The place had four basic rooms and a spectacular view of the ocean – pretty much standard fare in Cuba. But what made this property exceptional was the service. We were not over-served by any stretch – the staff were just there when they needed to be, almost as if they had ESP. 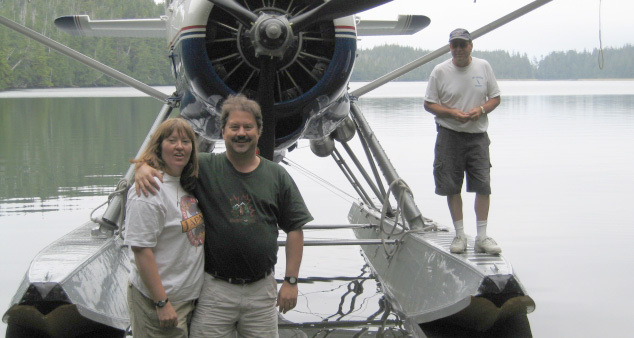 A few years later when we saw what is now Alert Bay Lodge for sale in 1999, we knew fortune had smiled on us. This 3000 sq. ft. building was constructed by First Nations in 1961 as the United Church for the island. Since then the building has had a number of identities. 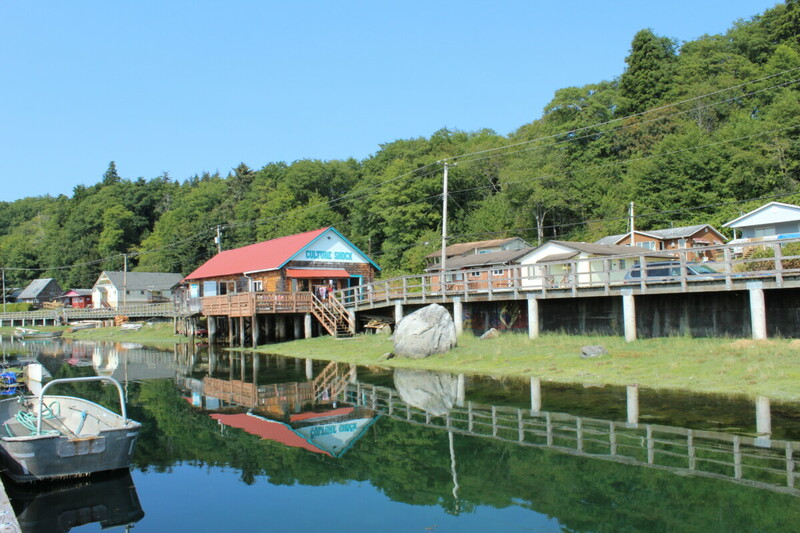 Many renovations later, Alert Bay Lodge is now, we believe, fulfilling its ordained role as an ambassador with local character for people that come from far and wide to visit Alert Bay. 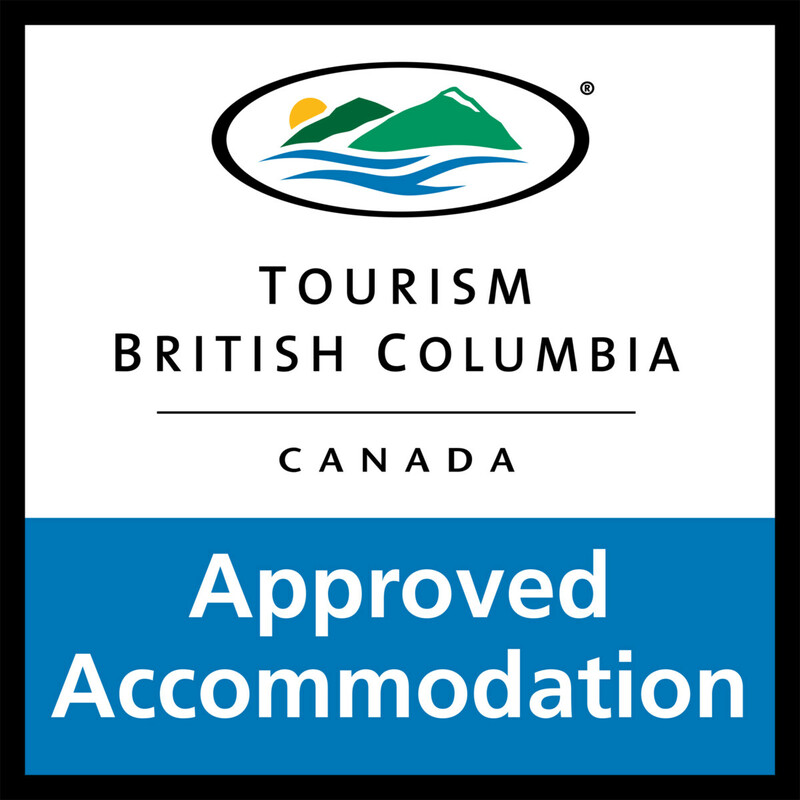 We live in Victoria, BC, from where we run Midnight Sun Adventure Travel, a tour company specializing in adventure tours of Canada.